ahhhhh welcome to the new site!! 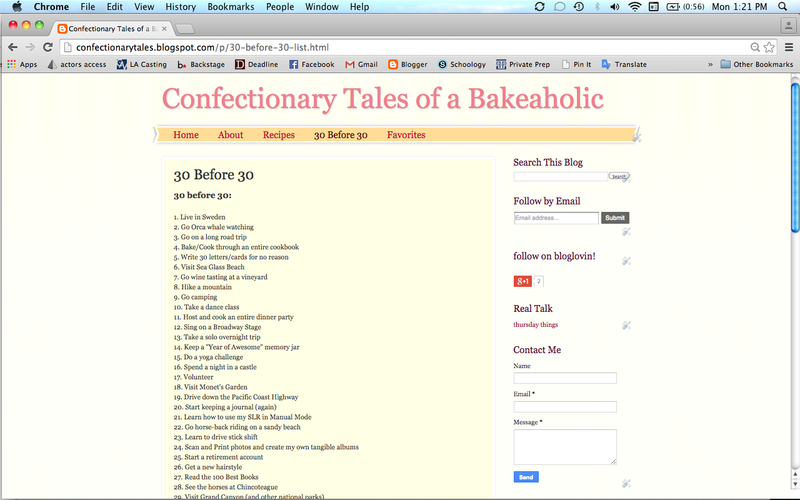 Welcome to the new and improved and grown up version of Confectionary Tales of a Bakeaholic! AHHHHHHHH I HAVE A DOT COM WEBSITE!!!!!! Ahem. Now welcome to the grown up version. I seriously feel like it’s Christmas morning and I have been itching to show off this new website for about a month now! The only problem was that I had a lot of back editing to do, making sure links weren’t broken (and I’m sure I missed a ton anyway) and then I was off in Sweden for 2 1/2 weeks with no computer. So, without further ado, welcome to my new site. From first glance, it’s very similar in layout and I’m sure I’ll be making various changes and tweaks here and there, as I notice things I’m missing. 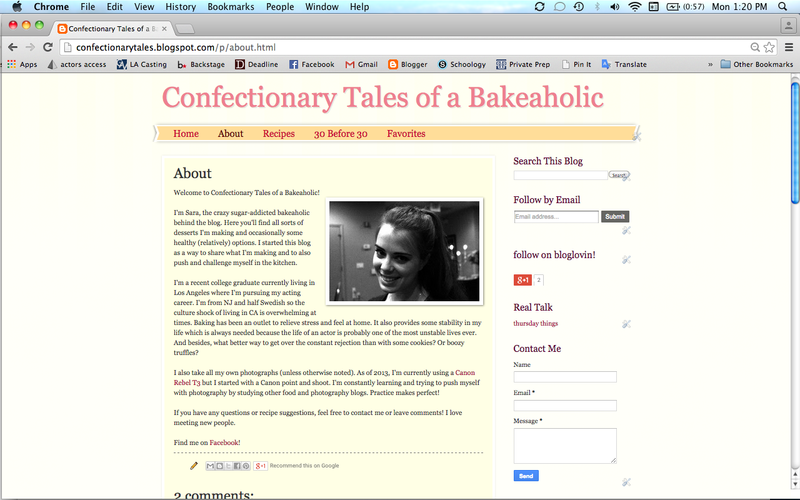 You’ll see the header, with my blog title, as well as a fun tag line that my Aunt Elena came up with one night at dinner. With the hundreds of pounds of sugar I’ve gone through, I’ve definitely been “Living the Sweet Life”. 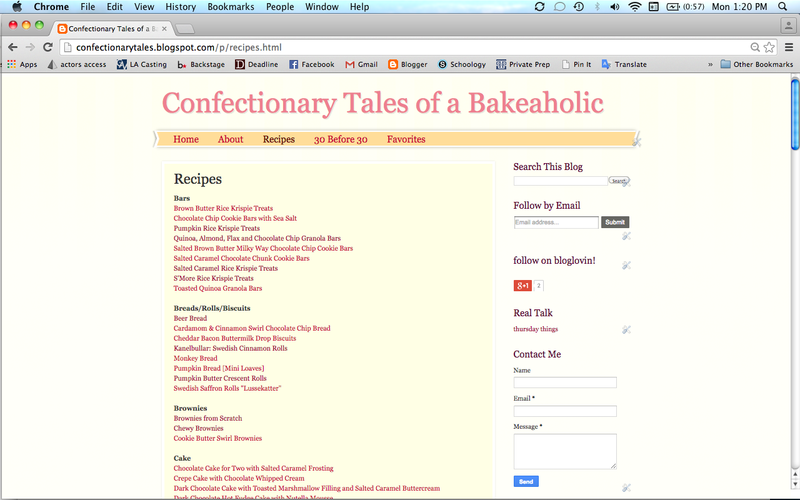 Below that, you can see that I have the same pages before – my 30 before 30 page, my About page, my Recipe index, and then my favorites. And below that, you’ll find all my blog posts! 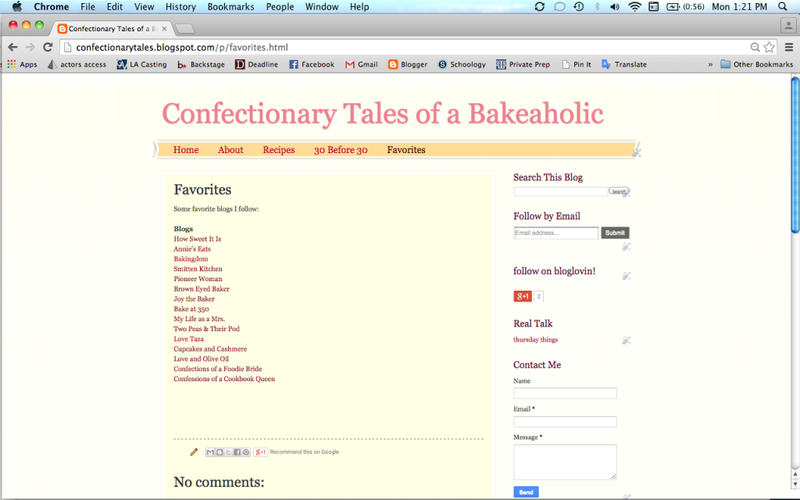 On the sidebar section to the right, I’ve finally added adorable little links to my various social media pages. It’s about time, right?! 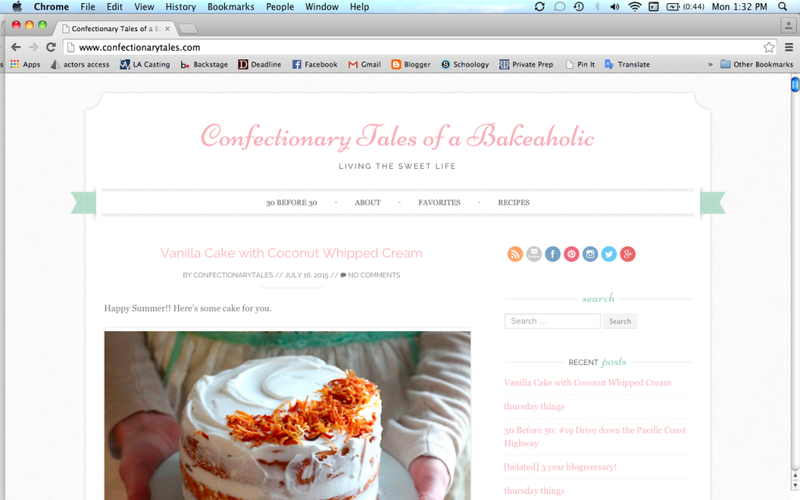 I’m excited to have a .com website now. It’s been over 3 years since I started this blog, and since it doesn’t look like this is going anywhere anytime soon, it was long overdue for the upgrade. Get ready for some new posts! 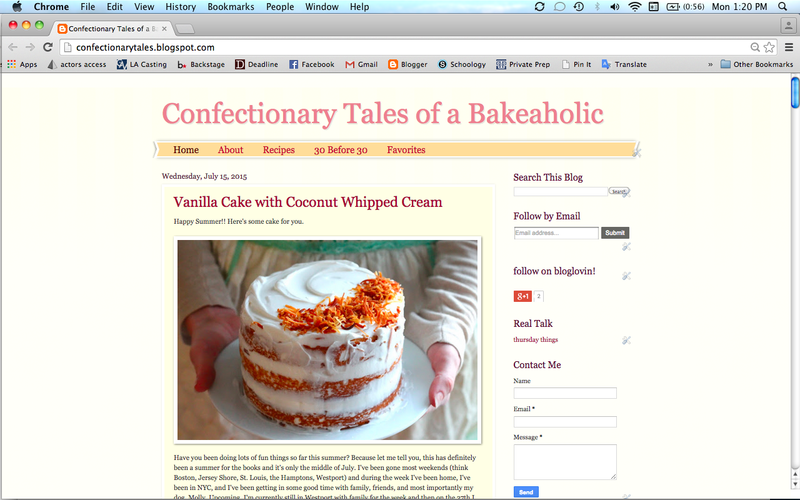 And since I can’t help but be a bit sentimental, here are some screen shots of Confectionary Tales back when it was a blogspot account. (and full disclosure here – I had already set up the old blog to forward to this new address, realized I didn’t take any screenshots, re-uploaded the old template and made some quick adjustments so it would look pretty much like it did before.